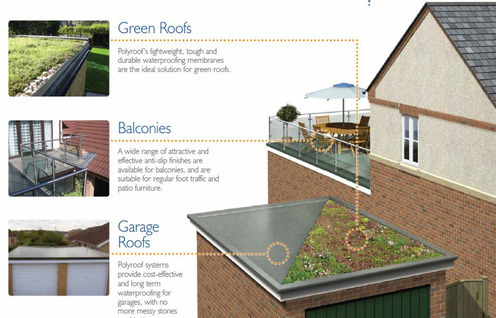 Polyroof, providing a range of solutions to suit your requirements. 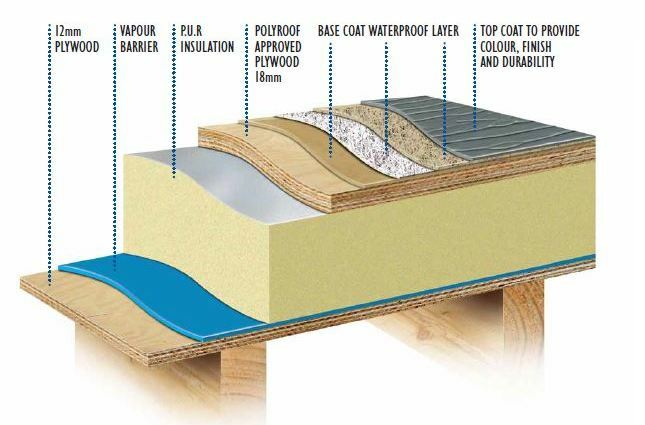 Polyroof Products Ltd manufacture a range of BBA approved roofing systems that are able to waterproof your roof, no matter what condition it is in. In order to help you find the right solution we have detailed the benefits and applications of the systems below. Suitable for new builds or refurbishment situations where your existing roof is in a poor condition and needs to be stripped and replaced. 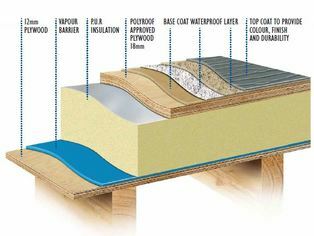 The Polyroof 185 system is always applied to a new high quality Polyroof approved 18mm plywood deck. Your old roof will be replaced with a brand new deck with a waterproofing membrane that carries a BBA durability rating of 30 years. The Polyroof 185 system is available with an insurance-backed guarantee of 20 years. Suitable for new builds or refurbishment situations where your existing roof can be retained and the covering can accept an overlay coating. 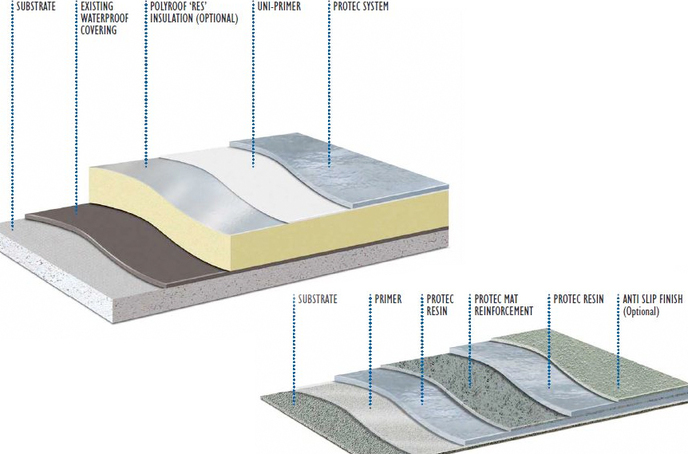 The Protec system can be applied direct to your existing roof and also to new approved insulation boards. Your old roof will be rejuvenated with minimum disruption and the new waterproofing membrane carries a BBA durability rating of at least 20 years. The Protec system is available with a ten year warranty or a 20 year insurance-backed guarantee. 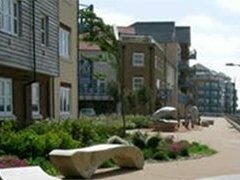 A wide range of attractive and effective anti-slip finishes are available for balconies, and are suitable for regular foot traffic and patio furniture. 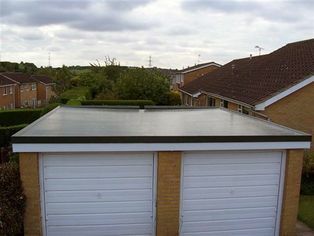 Polyroof systems provide cost-effective and long term waterproofing for garages, with no more messy stones or chippings. 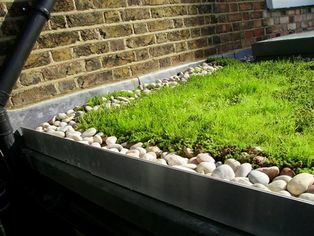 Polyroof’s lightweight, tough and durable waterproofing membranes are the ideal solution for green roofs. A major advantage of Polyroof roofing systems is theirversatility and complete design flexibility. Irrespective of the size, condition or complexity of your roof we will have a waterproofing solution that satisfies any demand, with BBA approval and offering true cost-effectiveness, Polyroof roofing systems provide a high quality and affordable solution for any type of flat roof or balcony. 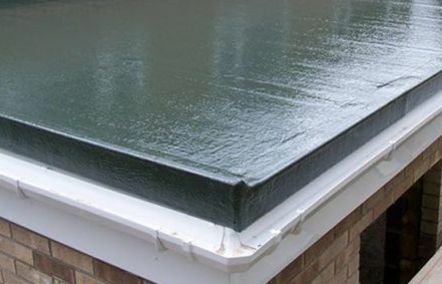 A range of pre-formed GRP trims are available to finish your roof, making it totally maintenance free. 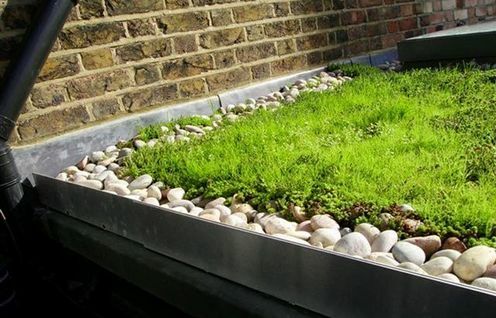 Not sure which system is best for your roof? To discuss Polyroof roofing solutions or what system is best suited for your needs, please feel free to contact us our technical team who will be more than happy to help. Polyroof’s Quality Assurance package has been specifically designed to provide the customer with total peace of mind from start to finish.